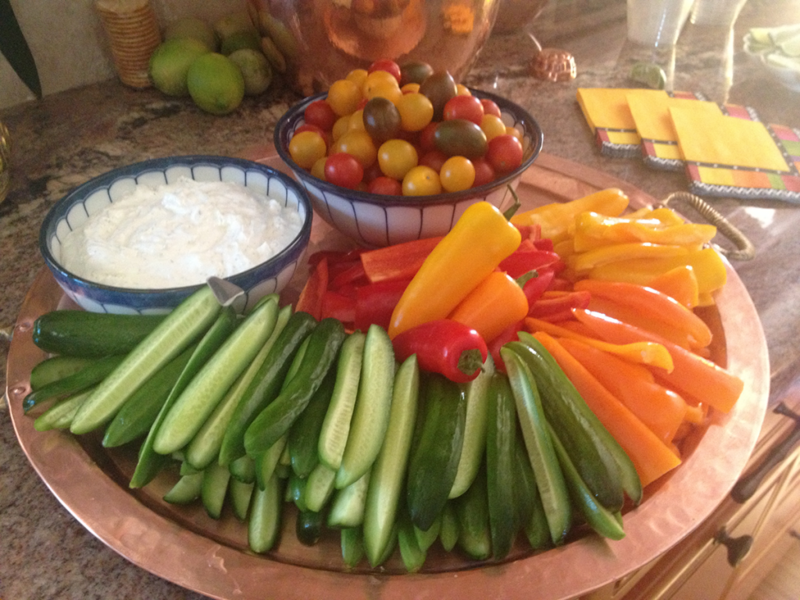 Our customers tell us they love our Dip Mixes, they make entertaining easy. They are the perfect – go-to – instant appetizer and go with any occasion. You can use them to enhance your favorite recipe for rave reviews every time. Relax enjoy and get creative. You can add excitement and fresh flavors to your favorite dish. Blend early to improve flavors and store in the refrigerator. Each package will make 4 cups of Lemon Dill Dip Mix. No Salt, No MSG, No Sugar, and Preservative Free. Original Lemon Dill Dip Mix serve with assorted vegetables. Mix equal parts mayonnaise and half sour cream or use just sour cream or Greek Yogurt. Use as a tartar sauce for fish, shrimp or scallops. Sprinkle dry over Salmon and poach with a little white wine. Tip: Keep Dry Vermouth on hand to use in place of white wine. When making deviled eggs, mix lemon dill in with the yolks and mayonnaise. You can make a compound butter, by mixing 1 tablespoon Lemon Dill Dip Mix with one 4 oz. stick of butter. Use to flavor fish, top a baked potato or put on veggies. Store the compound butter in your freezer for last-minute flavor additions. Add a touch of dry mix to Tuna to enhance the flavor, one word- delicious. Use as a rub for salmon and grill or broil. Sprinkle dry Lemon Dill Dip Mix on cooked Green Beans. Spoon the Lemon Dill Dip over Asparagus. 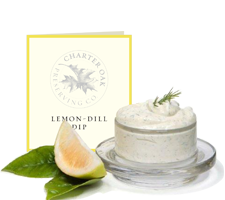 We’d love to know what is your favorite way to use our Lemon Dill Dip Mix? Never miss our entertaining tips and delicious recipes! Join our list for free updates of our latest creations.